Where I live May 5th is celebrated as a day to enjoy some tasty Tex-Mex or authentic Mexican food, have a few beers, and get together with friends and family. I love Tex-Mex, which I think I have said before, so any excuse is a good when my favorite food is involved. 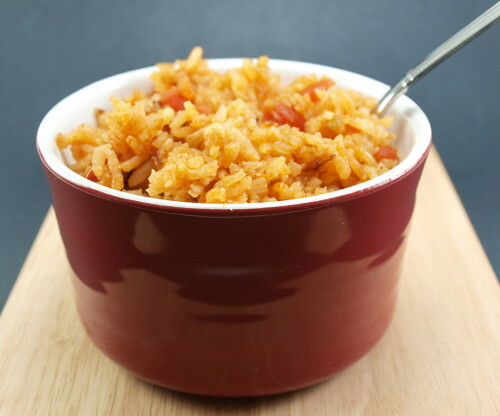 One of my favorite Tex-Mex recipes is for Mexican Rice. This side dish is often done very poorly, which is sad because it is such an easy dish to prepare. In fact, in this age of rice cookers, this dish is a snap. The two most important things to do when making this dish are often overlooked. First, toast the rice. It is such a small thing but it gives the finished dish a much deeper, nuttier flavor. Second, toast the spices. 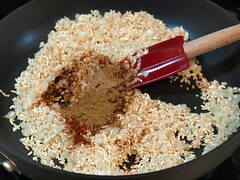 All I mean by that is to cook the rice with the spices until they become fragrant. This step mellows the spices and enhances their earthy flavors. 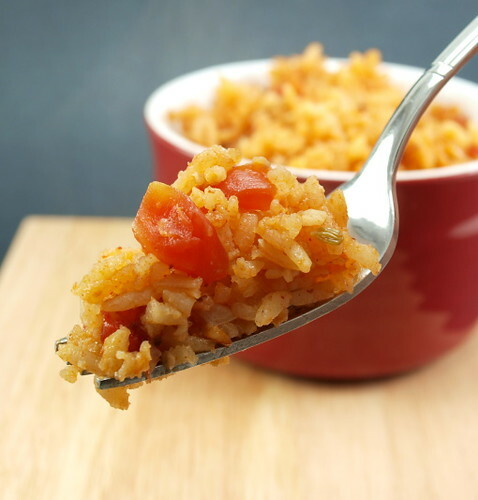 When done right, Mexican Rice can be absolute bliss, and tasty enough to be a meal. 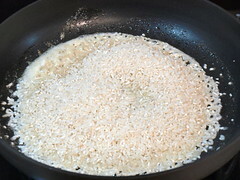 In a large skillet over medium high heat melt the butter and vegetable oil until it sizzles. 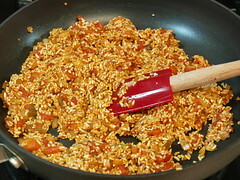 Add the rice and cook until it turns a light golden color, about 5-8 minutes. 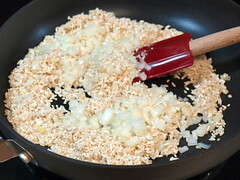 Add the onion and garlic and cook until they become fragrant, about two minutes. Add the spices and cook until fragrant, about 2-3 minutes. 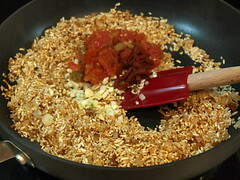 Add the tomato paste and Ro*Tel and stir to combine. If you are cooking on the stove top add the chicken broth and bring to a boil. 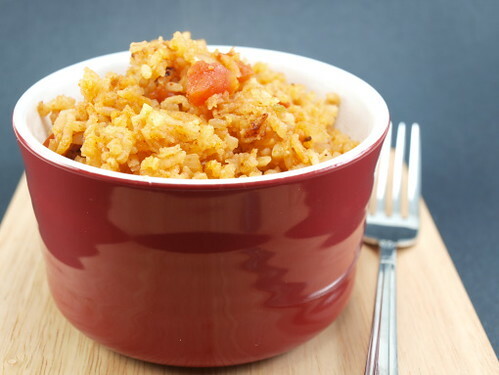 Reduce the heat to low, cover, and cook for about twenty minutes, or until the broth is absorbed and the rice is tender. 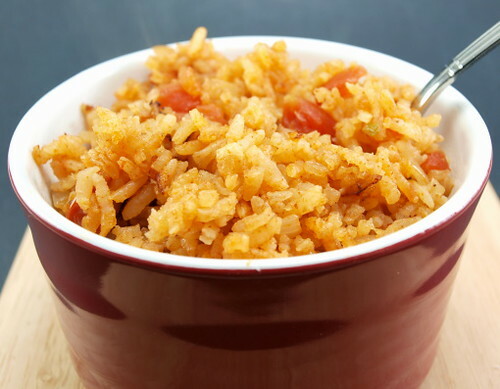 If you are cooking in a rice cooker transfer the rice mixture to the rice cooker and add the broth. Cook according to your machines directions.